Comprising more than 7,000 islands, the Philippines is a vast island nation. The biggest Catholic country in Asia, Philippines has influences from Spain and America, and is famous for its beautiful beaches and friendly people. 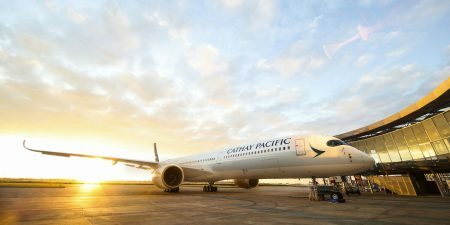 Start your holiday on the right note and relax on-board your Cathay Pacific flight to the Philippines. With games, music, TV, and movies on the personal entertainment system, time will certainly fly. The bustling capital of Manila is home to atmospheric colonial architecture and churches, including Manila Cathedral and Fort Santiago. Head to the old walled city, Intramuros, for a day of discovery. Cebu is the country’s second-largest city, home to attractions like Fort San Pedro and the Basilica of Santo Niño. For something unusual and eye-opening, you can visit the dancing inmates of Cebu Prison. Cagayan de Oro is known for its amazing water sports, and Boracay’s white sandy beaches and energetic nightlife attract many visitors. Other highlights include the bizarre hanging coffins of Sagada, the Chocolate Hills of Bohol, the spectacular rock formations and bays of Palawan, and the verdant Banaue Rice Terraces. Start your trip to this diverse and enticing land with Asia’s premier airline – fly to the Philippines with Cathay Pacific.